It's a moment we've been waiting for since last April... but now its Avengers Endgame Week!!! Dave and Mikey already have their tickets, as well as #TwitterlessDrEarl, and bringing in the original OG, the Young G, every since he was a lower case G, but now he's a Big G, girls see he got the money, hunnah dolla bills y'all... the Son of the Pride of Tifton Georgia, little Garrison Ryfun. Kicking it off right at the top, the guys run through all of the movies in the Cinematic Timeline -- not just years released, but chronological in the story's timeline, with Captain Marvel coming right at the end. For most people, this would be refresher, perhaps covering movies no one has seen in a while (Thor!?)... the guys talk about first appearances in each movie (where did Bucky show up? What about Howard Stark? And Black Widow?? 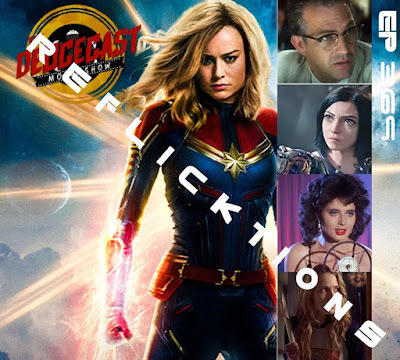 ), giving their takes on each of the films, and finally give their top five faves each, and the essentials of the MCU. And a refresher on the end credit scenes... all getting you ready for the Avengers Endgame premiere! Springtime has sprung(time) and it's time for the April edition of ReFlicktions. Mikey and Dave, and Friend of the Show and Part Time Contributor and Some Time Brie Larsen lover and all time Alison Brie Lover and most of the time world traveler and a little bit of the time movie critic and Full Time Doctor Earl. After Birthday movies, which reveals what a debacle April 1994 was, and what a masterpiece April 1989 was, they guys jump right into the films they've seen over the last few weeks -- with Mikey not watching as many, Dave coming back from an 8 day non-movie-watching vacation, and Dr Earl just doing Dr Earl things. And the guys first Top Five of the Year! 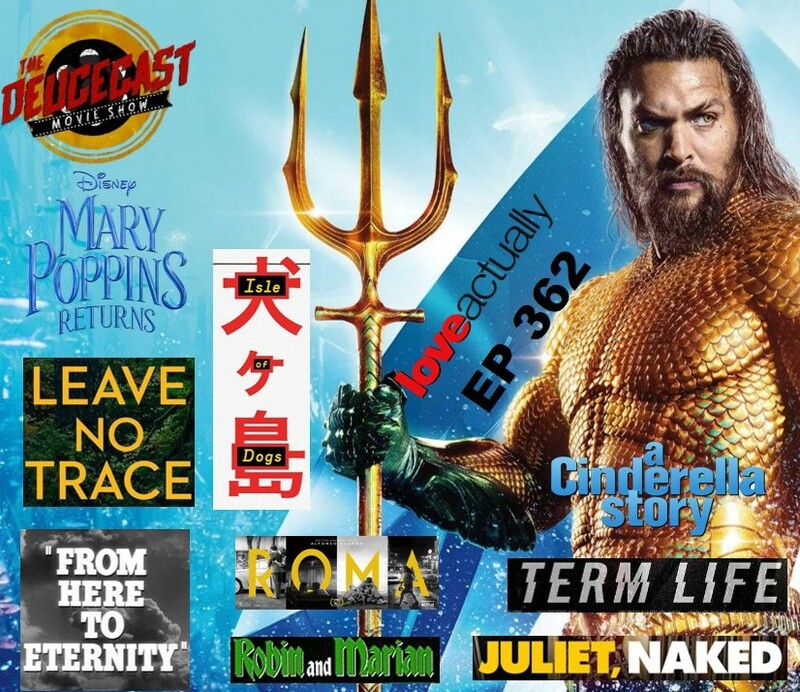 Topics include... Ben Affleck's acting... a shout out to Aussie Nate... old school Woody Allen films... weird Lupita impressions... the joy of Shazam!... a lengthy discussion on Elizabeth Holmes, as featured in the documentary The Inventor... the latest from the director of Brawl In Cell Block 99 and Bone Tomahawk... Mikey gets emotional at a cartoon... what Dave really thought of Dumbo... the overhype of Destoyer... and thoughts on Hellboy. Another episode of the Movie Show is here, with Mikey and Dave bringing the noise and the funk. And the film. The topic tonight is Actors that they loves when they were kids, and may or may not care about at all since they are all grown up. What better guy to bring in than the pride of Tifton, Georgia, Friend of the Show Scotty Ryfun, with his own theme song! First up, a shout out to the new Deucecast Historian, and the old school Endor DeuceTrax... then a Ryfun riffs on losing episodes of My Star Wars Story. Then a plug for The Magic on a Dollar Podcast, hosted by d$. Then, a brand new game called The Streak, which seems easy -- just name movies from each year, starting with the present day, and going backwards. And which Ice Age came out in 2009?? Some Star Wars Galaxy's Edge talk, including the announcement of opening dates, details of Millennium Falcon Smuggler's Run, and much more. Then the topic at hand... a chit chat about Movie Novelization... then fave actors and actresses that, when the guys were young, they just loved. Names like Tim Conway... David Tomlinson... Corey Haim... Charles Grodin... and many more names, including some the show has likely never even talked about... also discussed, Dave's take on Mary E Mastrantonio... how to use CPR propertly... recasting Cannonball Run... plus, a Meredith Salenger update! 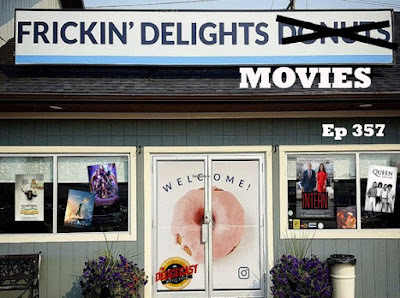 It's been a busy month for movies, as Mikey and Dave can attest to the bajillionty movies they've seen in the last few weeks. Toss in #TwitterlessDrEarl's 3 films he's seen, and it makes for a great ReFlicktions ep. 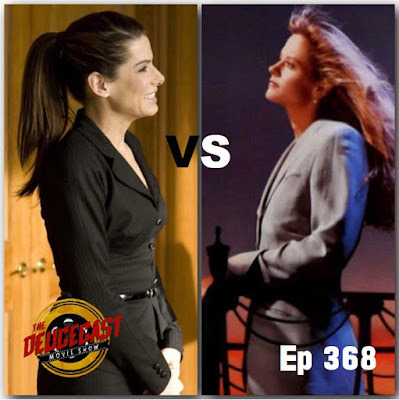 It's another tournament episode, back again after a long pause -- this time, matching up Hollywood Sweethearts Sandra Bullock and Meg Ryan! Because Dave and Mikey can't do it alone, they bring in Friend of the, Miss Jeh ni fa Juh ni pa herself, the Delight Life of Jennifer Kaufman! Classic characters like Sally (From When Harry Met...) and Annie from Sleepless in Seattle and Anastasia all battle to get a winner to take on the winner of Lucy from While You Were Sleeping and Annie from Speed and Leigh Anne from Blind Side and much more. 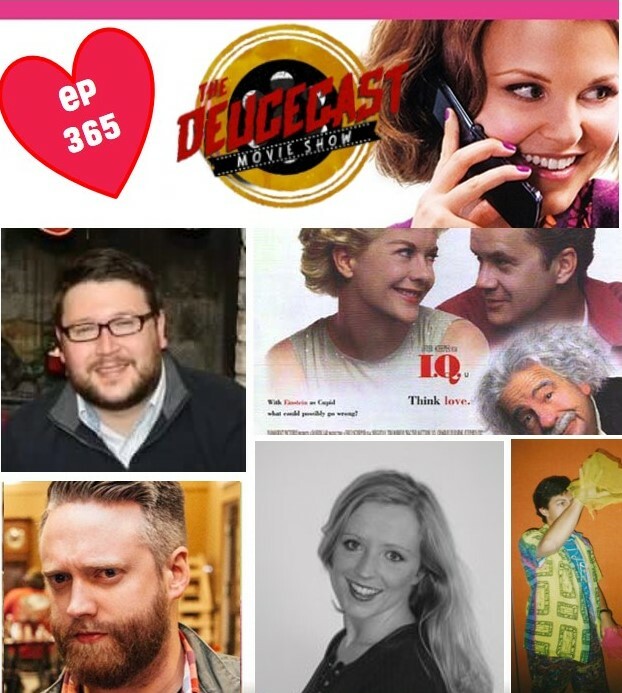 Great discussions to be had amongst some of the best roles in RomCom history and more. 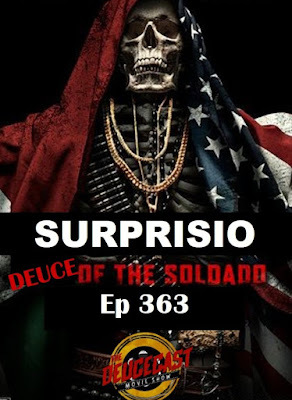 The Academy Awards just happened... but the recording of this episode was before the Oscars were given out... so what do Mikey, Dave, and #TwitterlessDr Earl do? Go ahead and record predictions for an episode that will air AFTER the actual results. Because The Deucecast Movie Show is like that. Cutting edge and all. And even better, the predictions made on the show weren't even the final predictions! So why listen? Because we are awesome and you should. And then, a full preview on the big releases upcoming for the months of March, April and May... Chloe Grace Moretz gets stalked... #TwitterlessDrEarl Marvels at Brie... Jordan Peele gets weird. Er. 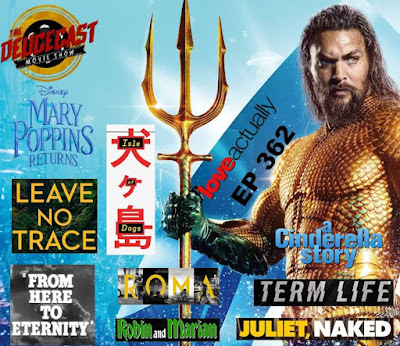 Weirder... Dumbo takes flight... revisiting Pet Sematary... the Endgame of Avengers... Keanu Reeves shoots lots of people... more dogs traveling the country... and much, much more! Here are the predictions from Dave, Mikey & Earl for this year's Academy Awards. As always, the one who gets the most correct can assign a movie of their choice to the other two to be watched. 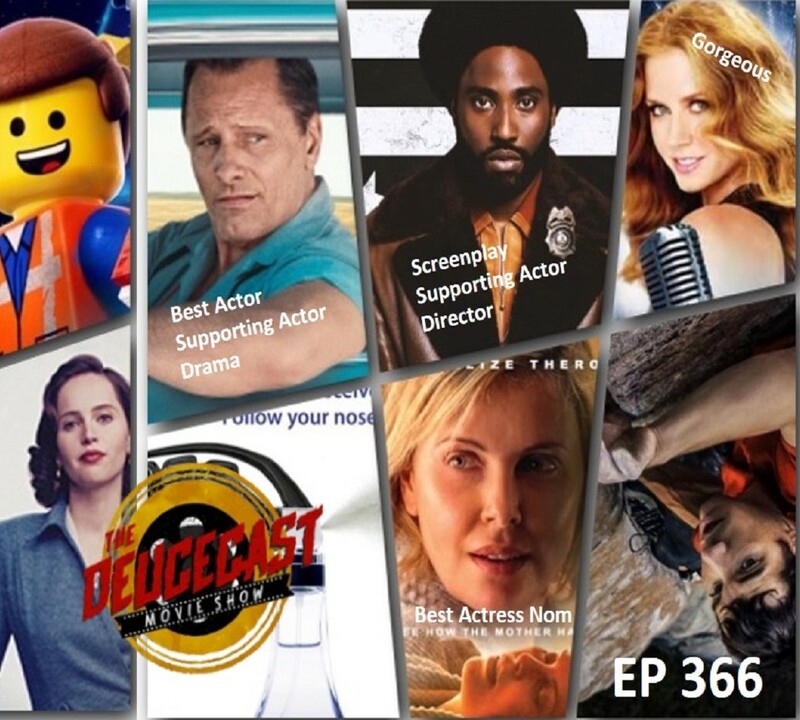 Here are the categories with nominees, and those who picked them beside the noms. Here are the nominations for the upcoming 6th Annual Deucie Awards, given for the best in film from the year of our Lord Two Thousand and 18, during an upcoming The Deucecast Movie Show episode. Amongst other things, topics discussed include... More about the Mary Poppins Meryl Streep sequence... Dr Earl on RBG and Felicity Jones... Dave brings the conspiracy documentaries... Mikey hating on Queen... a bad movie from Amy Adams... Upgrade is a better Venom... random Netflix symphonies... Dental shade... Knight of Cups Casting... Dave explains The Boulder Problem... and much more. Another February is here, meaning another day of Valentine's love is in the wings! And if Mikey, Dave, and #TwitterlessDrEarl aren't enough, Friend of the Show Jennifer "Juniper" Kaufman joins the show to add a softer voice and a girls touch to the topic itself. First up, Birthday Movies to talk about what was released in February five, ten, fifteen, twenty years ago -- movies like The Lego Movie, Office Space, Bill & Ted's Excellent Adventure, and even a fave of Friend of the Show Burgess, The Jonas Brothers 3D Concert Experience! A quick round of the IMDb game -- can you name the actor and/or actress by the roles and movies? Great match! 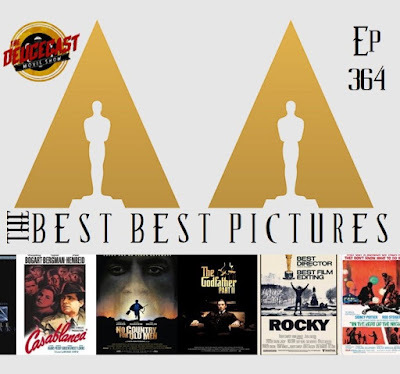 Friend of the Show, Miss Independent himself Burgess calls in from his 24th film festival in 2019 over in Mississippi, to give his results of this year's Burgentine's Day -- he reviews the movies assigned to him by the crew. The topic in the episode is not just Valentine's movies, but those movies that are bad -- not just guilty pleasures, but Rom Com Chick Flicks that the crew feels like they may be the only ones to actually like. Movies with John Cusack... Brenden Fraser in a bomb shelter... Dave's novelization attempts... Beth Cooper makes an appearance... that Bonnie Raitt song movie... Kaufman's love of Jennifer Anniston.. Dr Earl's love of 90's Jennifer Connelly... Mikey's love of Michael J Fox... Dave's love of large ensemble flicks... and so much more love in the episode! Oscar nominations are out! 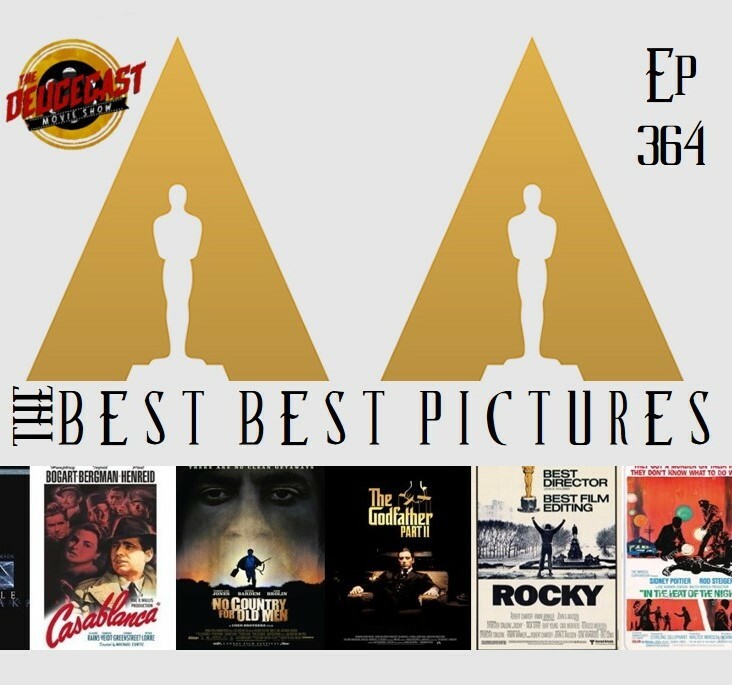 Mikey, Dave, and #TwitterlessDrEarl spend an hour full of Oscar talk... and the fun thing is that when the recording of this episode happens, nominations aren't out yet. So the guys get to make bold predictions on Oscar noms that have already happened now. Who swings and misses wildly? Who calls an Animated nom? And who was the genius who called the Bradley Cooper snub and only 7 nominations for Star is Born?? Dr Earl also pontificates on a recent viewing of M. Night's sophomore effort "Unbreakable" (of which the recent "Glass" is a sequel to), a re-watch after about 12 or 15 years. 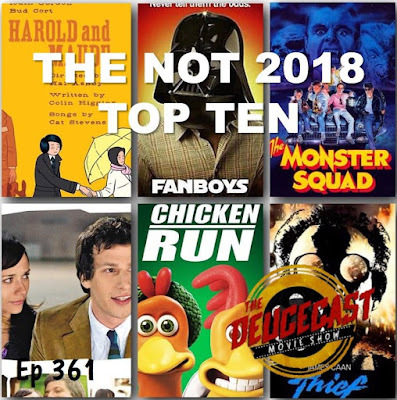 Another 2018 in review episode commences, all leading up to the Top Ten of 2018 (coming soon! ), but this around, its the Movie Surprises of 2018. 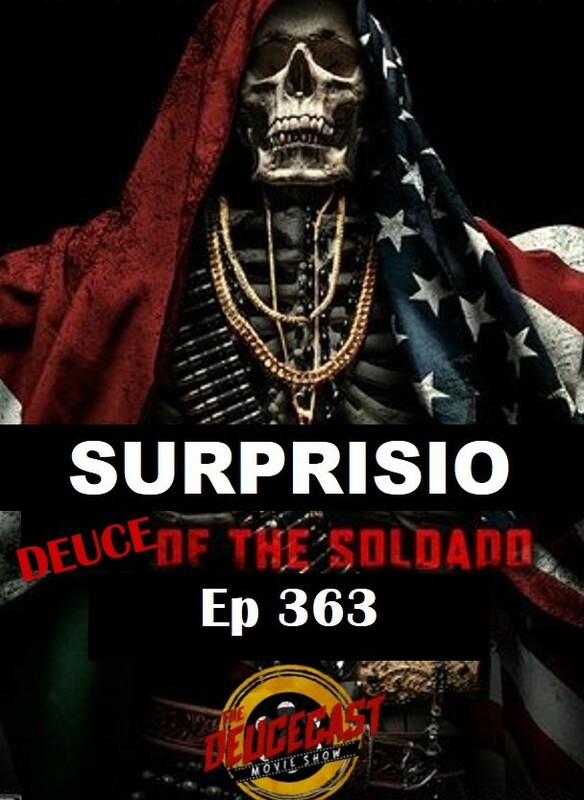 Mikey, Dave, and Alison Brie Larsen Lover #TwitterlessDrEarl welcome in Mr Independent himself, Friend of the Show Jeremy Burgess to talk all about a little of everything. Kicking in first with a review of Burgess' IMDb page and some random up and coming actors in the area, including the infamous Daniel Scheinert (who?? ), an untitled project that Burgess may or may not have let slip (what??) and a rousing round of Rotten Tomatoes Potpourri... one that lasts a long time because four people playing to five can sometimes take a while. Then, the crew jumps into the topic at hand, the movies in 2018 that surprised everyone -- didn't think they'd enjoy but sat back and thought "Well whaddya know, that was pretty entertaining..."
The guys are back and Fyre'd up. Even though The Deucecast Movie Show had a ReFlicktions show a few weeks ago, they haven't been able to talk about the movies they've seen since before Christmas. So here comes a mega heavy duty RF show, with Mikey, Dave, and Allison Brie Larsen Fan #Twitterless Dr Earl. January rolls on, and January is full of episodes reflecting upon 2018. 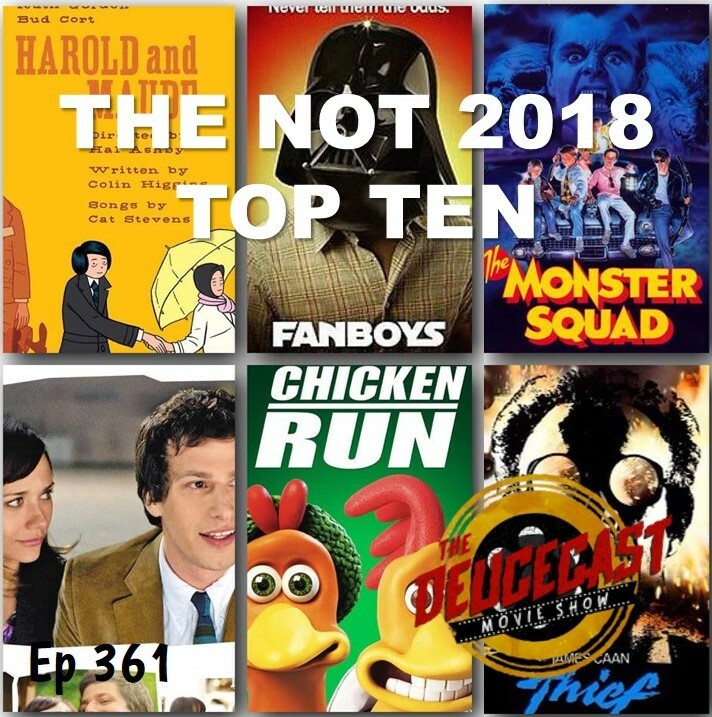 Last week, Mikey, Dave, #TwitterlessDrEarl and Friend of the Show Jeremy Burgess recanted their least fave films of 2018, and this week, its the Not 2018 Top Ten. And to do so, it takes a mega-episode to recap. Plus the top ten lists of favorite movies seen in 2018 that didn't actually come out in 2018... from 1937 all the way up to 2017. Movies such as a doc about the LA Riots... a 70s noir classic with Martin Sheen as a bad guy... documentaries about bombshells and Munchhausen by proxy... war rabbits... ghosts... thieves... clowns... predators... bad wedding weekends and, of course, The Monster Squad. And the films for the 2nd Annual Burgentine's Day are revealed at last. It's become an annual rite of passage... the films that the Deucecast likes to call "Lumps of Coal", those being the worst movies seen over the last 12 months. Films like "Justice League" and "Colonia" and "Terminator Genysis" and even "Pootie Tang" (thanks Pinky!) have all worn the banner of shame. Which films wear it this year? Find out when Mikey and Dave bring in #TwitterlessDrEarl, and invite in Friend of the Show and Miss Independent himself Jeremy Burgess to talk about the... movies that just aren't for the guys. First up, the birthday films, including the good (Taken, She's All That, Whiplash), the bad (Bride Wars, Boyhood, Paul Blart) and the ugly (Braddock: Mission in Action III) that came out in the month of January in year's past. And then, a fun and light discussion on the films that just weren't as agreeable in 2018... with some Disney blunders... being WAR READY... traveling with Marky Mark... bad Wakowski Sibs... and of course, Nic Cage. Enjoy the Lumps of Coal. Merry Christmas (just passed) and Happy New Year and in between time, in the meantime, it's the rundown of the movies that Mikey, Dave and #Twitterless Dr Earl has seen in the last several weeks. Among the discussions, the guys touch on the problem with YA movies... the flop of Mortal Engines... Natalie Portman in Annihilation... Hot Burgess Talk... Mikey's Shudder... Mikey's Star is Born... Dave's turning the corner on Vanessa Hudgens... and tapping into the Spider-Verse. And the final Top Five of the Year is released, with a Top Ten of 2018 coming in a few months! It's that time of year once again, when The Deucecast Movie Show hosts are feeling generous and ready to dole out a dose of Christmas spirit to the world. But joining Mikey, Dave, and #Twitterless Dr Earl, is Friend of the Show, back for his fourth Christmas Gifts episode, "No Just" Clay Shaver! A little chit chat and catch up on movies and documentaries, and then the guys start handing out the merth and merry of Christmas gifts. 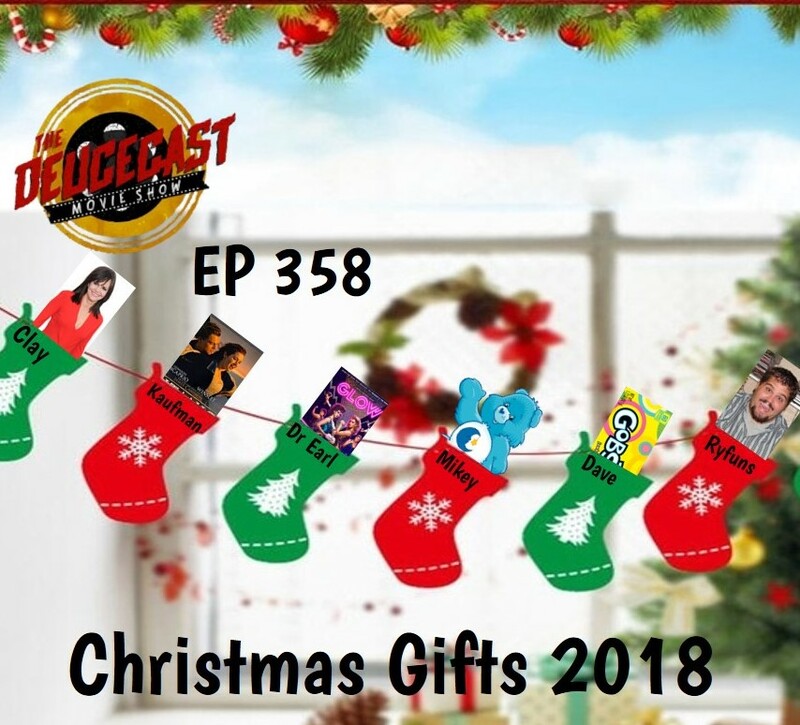 Amongst those opening Christmas gifts underneath the Deucecast Movie Show tree include Disney head honcho Bob Iger... busybody Tiffany Haddish... a Netflix Oscar of major proportions... Jennifer Garner getting more serious... Rian Johnson a real non-sci fi franchise... and much, much more. Oh, and Clay has a new idea for the masses along the lines of his legendary 30 year reboot rule.